Pictured above is Jonathan Williams of Hundleton CC receiving the Thomas Carroll Monthly Award from Brian Hawkins, along with Paul Webb Pembroke County CC Chairman. Jonathan received the award for his all round contribution to the team with bat and ball. 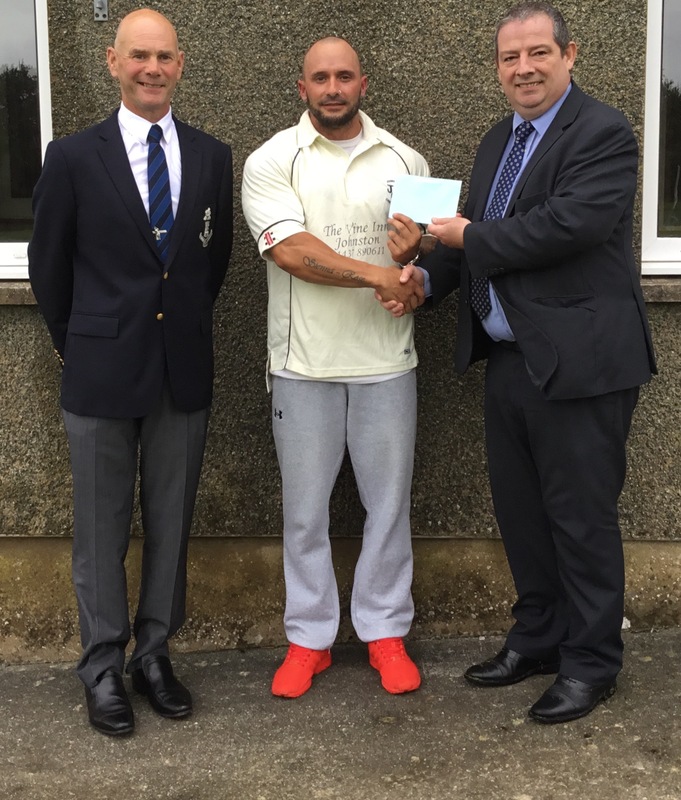 The Monthly Cricket Award for May was presented to Daniel Sutton of Johnston Cricket Club who completed 5 innings and averaged 149 runs. Pictured in the photograph above is Paul Webb County Chairman, Daniel Sutton and Brian Hawkins of Thomas Carroll making the presentation.